South East Asia is an area of IT extremes. On the one hand, you have world leaders such as South Korea and Singapore, and on the other places like Burma are completely open and void of major IT industries. Vietnam and Cambodia fall into the second category, but the landscape might soon be changing. IDC have predicted good things for both countries. 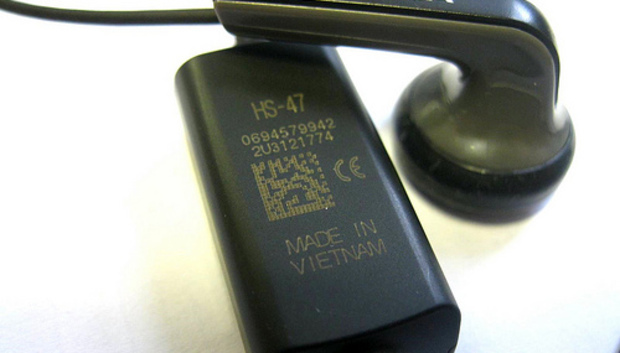 For Vietnam, the research firm has called 2012 a turning point. It predicts IT spending to increase by 19%and the size of the IT market will reach $3.25 billion. "2012 will be a year that marks the powerful move of Vietnam ICT market," says Lam Nguyen, country director, IDC Vietnam. "Online services will grow strongly because of the high development of devices with high capacity of Internet connection, plus the possibility of using the Internet of most people in urban areas and diverse services from service providers such as digital content, online payment, trading services, or even dealing with government agencies only with convenient mouse clicks." If this is all comes to pass, Vietnam will be among the top IT spenders in APAC region in 2012, thanks to adoption in cloud computing, the opening up of the telecoms industry (Of the 90 million-odd subscribers, 90% of the market share is captured by one company, Vinaphone), and the rise of e-payments. The Vietnamese government has been consulting with foreign experts and authorities from 63 cities and provinces on rolling out ICT to the country. According to the Deputy Minister Nguyen Minh Hong, the Ministry of Information and Communications has asked local authorities to increase the involvement of private sector in IT. "Vietnam considers ICT a key industry and one of the most important driving forces for economic development," he said. While not quite as enthusiastic on Cambodia, things still look good. "The Cambodian ICT market is expected to be a potential target for investment. The ICT industry will experience rapid growth in years to come," IDC's market forecast explains. Several regulations in the industry provide a favorable climate for investments and growth. However, due to its status as a young market, challenges exist because of the lack of ICT infrastructure in rural areas. Spending in the IT sector is expected to increase to $209 million in 2015, growing from $100 million last year. "The Government's spending on IT, particularly for hardware, software and services remain a key market segment," H.E Ek Vandy, of the Ministry of Posts and Telecommunications said. Last year more than a sixth of new businesses were in the ICT sector, of which the vast majority are one or two man ventures, as big companies are largely absent. The total number of smartphones in Vietnam is expected to rise by 5% this year to 21%, totalling a rise of around 2.7 million units. An increase in the percentage of smartphone owners using apps is predicted to increase from 35% to 40% thanks to more e/m-commerce services. In order to help facilitate this growth, the government is aims to increase the number of people using mobile phone services to 90%of its population by 2015 and 95% by 2020, including getting 45% of the population using the Internet by 2015. The current figure stands at around 30%, or around 30 million, placing the country 18th in the world for Internet users. Meanwhile in Cambodia, subscribers reached 15 million at the end of last year, past the 100% mark. And although there no official figures for smartphones in the country, [http://phnom-penh.info/samsung-tops-cambodian-smartphone-market/] Samsung claim they ‘are absolutely dominant' in the market. Experts have said 4G is still a long way off yet, but 3G is growing quickly. Tablets are poised to become a big thing. In Vietnam, tablet penetration currently stands at 2%, but it expected to rise 92% by the end of the year, while Cambodians are one of the keenest users of the Internet on their devices. Both countries have less than stellar human rights records, but Vietnam has been especially harsh on the blogosphere. A number of pro-democracy bloggers have been arrested and jailed for publicising their views, while the government blocks access to politically sensitive websites and requires Internet cafe owners to monitor and store information about users' online activities. Hopefully the opening up of neighboring Burma and its easing of restrictions may encourage others in the region to follow suit. Both countries have seen rapid growth in social media, seeing 59% and 22% growth for Vietnam and Cambodia respectively, though still only reaching 8% and 4% of the overall population. The high Vietnam figures are fairly surprising, as Facebook is blocked within the country, though its Firewall is easy to circumvent. Although these censorship issues (especially in Vietnam) need to be addressed, both countries seem to be on the right track for embracing IT and incorporating it into becoming an important part of everyday life.